KITCHEN CONFIDENCE: Suzanne Pollak, also known as “The Dean” of The Charleston Academy of Domestic Pursuits, brings her culinary skills and global aesthetic to a traditional townhome on Rainbow Row. 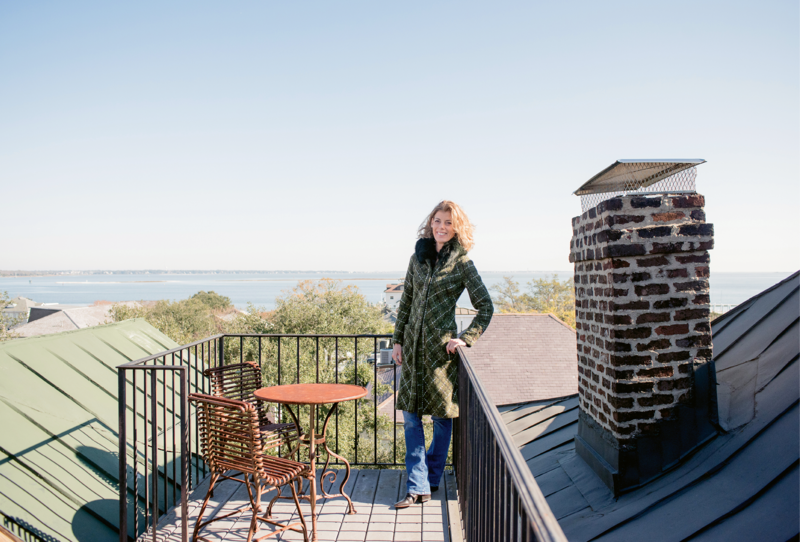 THE LONG VIEW: Pollak takes in some fresh air from her four-story home’s petite rooftop deck, which offers stunning views of Charleston Harbor and Fort Sumter. CLASSIC BEAUTY: The Pollaks’ townhome on East Bay Street; the façade features a balcony forged by legendary ironworker Philip Simmons. HIGH, LOW, & IN BETWEEN: The Pollaks enlisted jewelry designer and friend James de Givenchy to help them choose décor in keeping with their eclectic personal style. 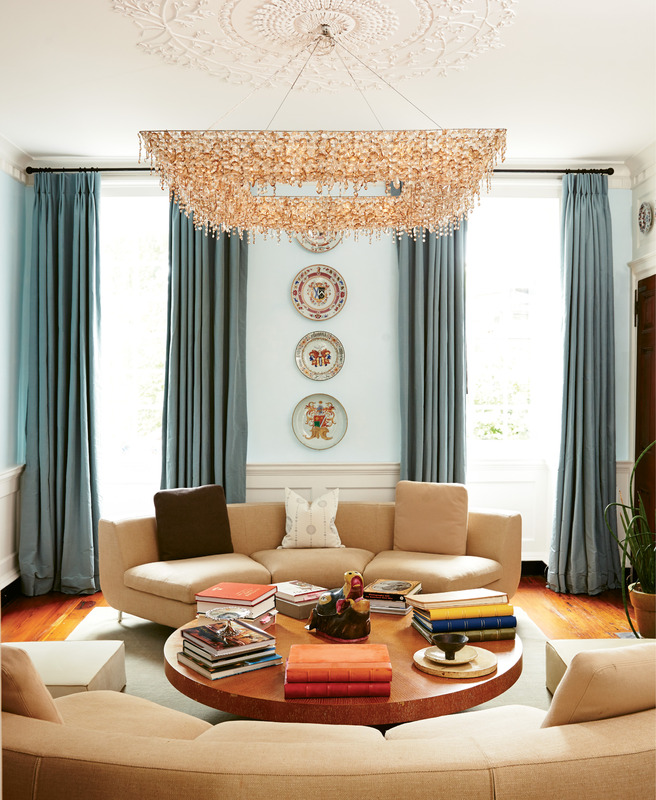 In the living room, a glittering chandelier and Suzanne’s collection of 18th-century Chinese porcelain keep company with a coffee table from Crate & Barrel. 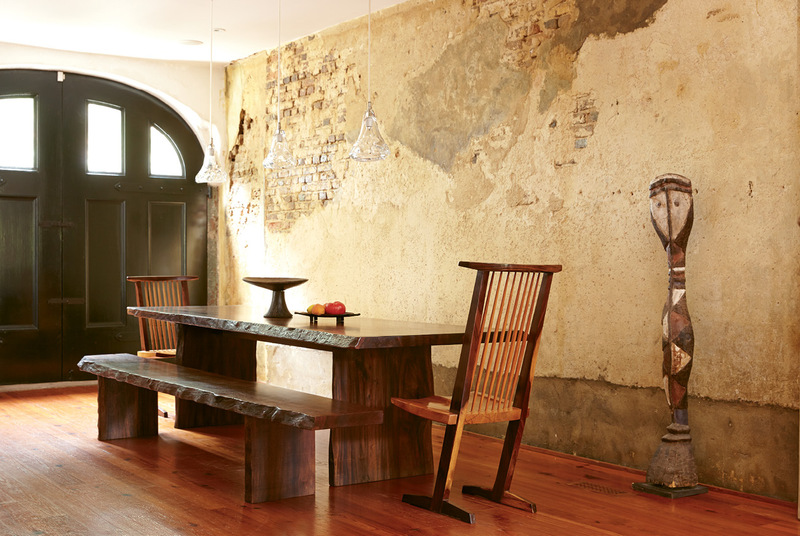 ELEMENT OF SURPRISE: De Givenchy designed this seven-by-seven-foot square table, crafted by Savannah-based furniture maker Greg Guenther from 100-year-old walnut, around an unexpected centerpiece: a live palm tree. 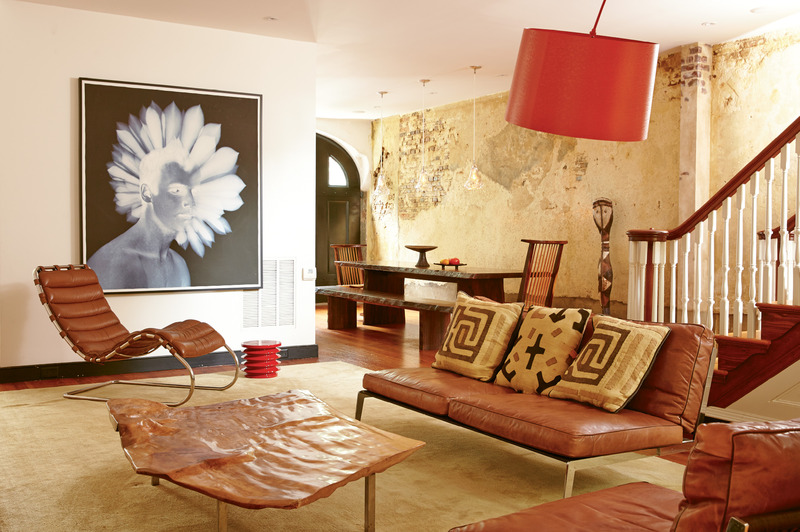 OUT OF AFRICA: Exotic textiles and a sculpture from Suzanne’s time in Africa lend a global bent to this dining and lounge space. GOURMET CENTRAL: The couple transformed this former garage into a dining area, and the carriage doors can still be slid open for an alfresco experience. 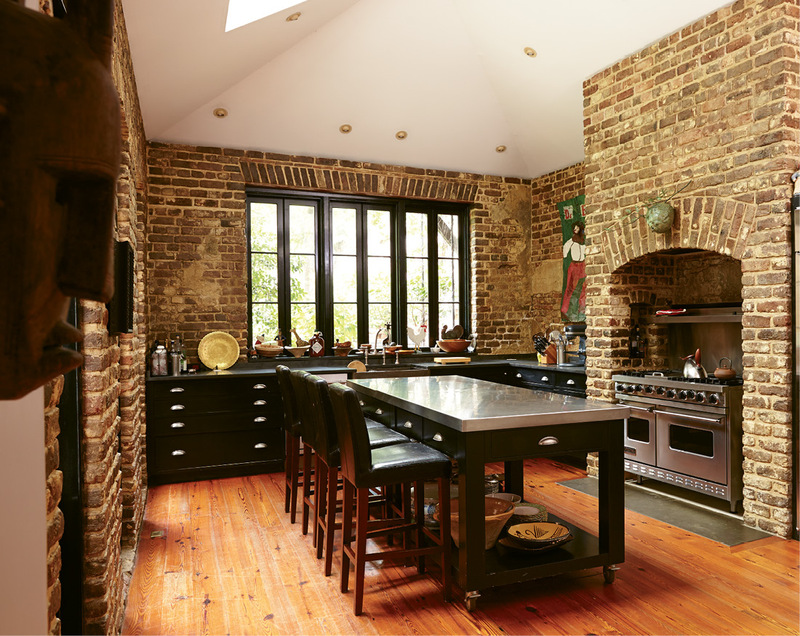 As an entertaining expert and avid home cook, Suzanne spends many happy hours within the exposed brick walls of the kitchen. 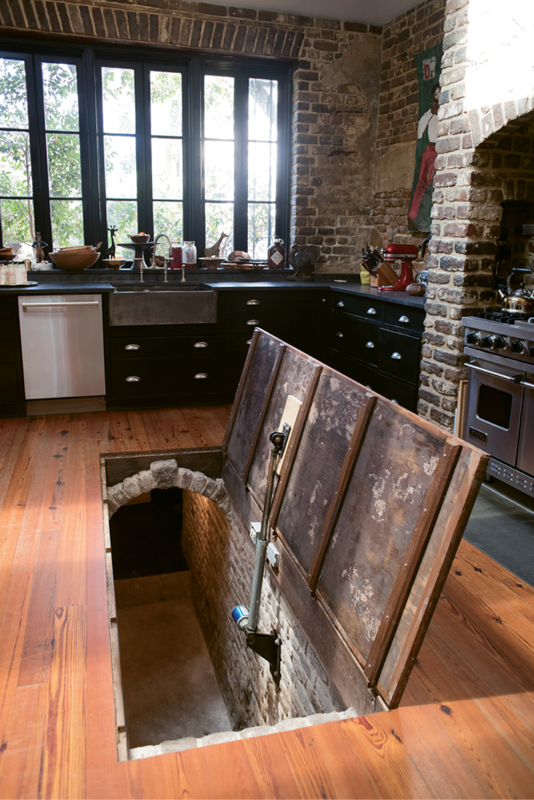 SECRET PASSAGE: Under the rolling kitchen island lies a hidden stairwell to the cistern, which the Pollaks use for storage. 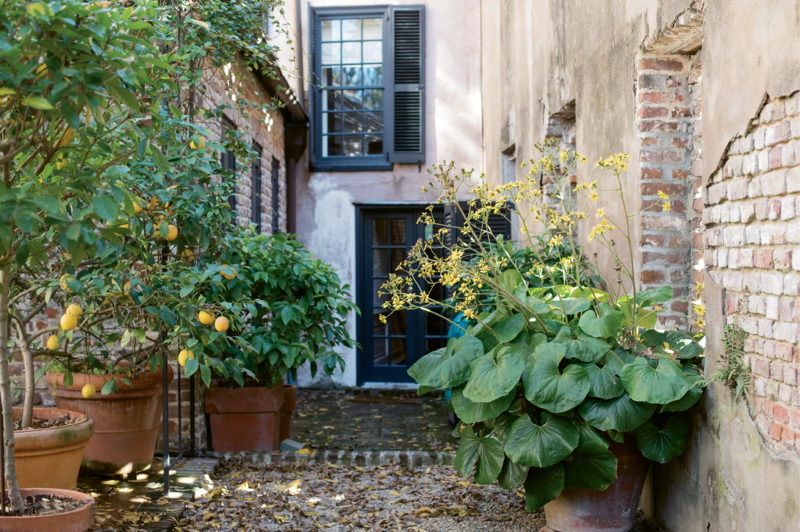 HAVE YOUR GARDEN & EAT IT, TOO: The courtyard garden features citrus trees, such as lemon and tangerine, as well as beehives that yield some 70 pounds of honey per year. Original cypress paneling lends a dignified air to the master bedroom. GLITTERING TRIBUTE: Designer de Givenchy chose the jewel-like glass subway tile in this bath to mimic the brick that’s found throughout the historic district. When Suzanne Pollak proclaims Charleston is the best place she’s ever lived, it really means something. The wiry brunette—who’s coauthored several tomes on cooking and entertaining, including The Pat Conroy Cookbook (Nan A. Talese, November 2004)—has lived all over the world: born in Beirut and raised in several countries across Africa, she then spent much of her adult life stateside in charming Southern spots such as Savannah, Hilton Head, and Beaufort. But no other city has captured her heart as deeply as Charleston, where she now resides with her husband, Peter, in a four-story, rose-hued townhome on East Bay’s famed Rainbow Row. With her collection of brightly colored turbans, Suzanne always cuts a stylish figure, and she can often be spotted strolling the historic district, soaking up the sights. “Every day I’m just blown away by the beauty of the architecture, from the colors of the buildings to the rooflines to the way the bricks are laid,” she says. And there’s plenty of this type of beauty to be found at her own address. 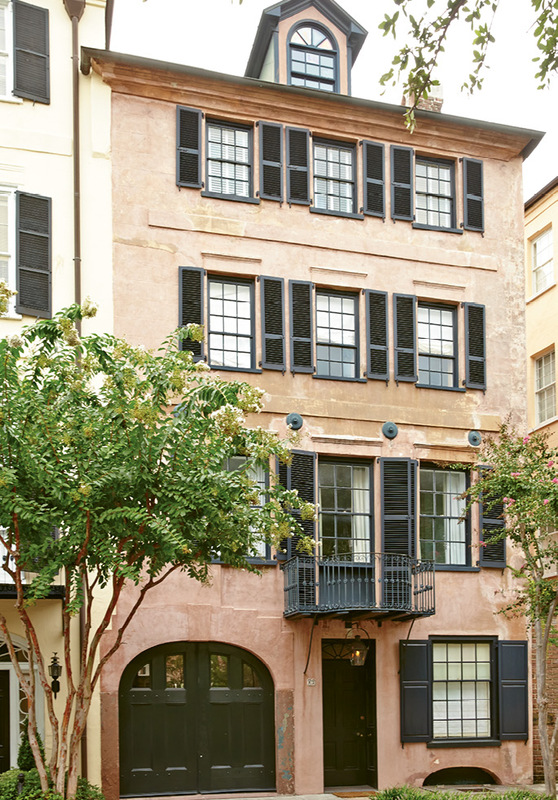 The 4,200-square-foot Georgian row house is a classic example of a traditional Charleston residence, complete with a wrought-iron balcony forged by the legendary Philip Simmons and a rooftop deck offering views of Fort Sumter. Suzanne says the clop of horse hooves on cobblestone and the narrations of carriage-tour docents are part of the soundtrack of her life. Suzanne and Peter’s love affair with old houses began long before they made this landmark their home. When they first toured the place in 2005, they were visiting from Beaufort, where they occupied an 18th-century manse they’d spent years painstakingly restoring. 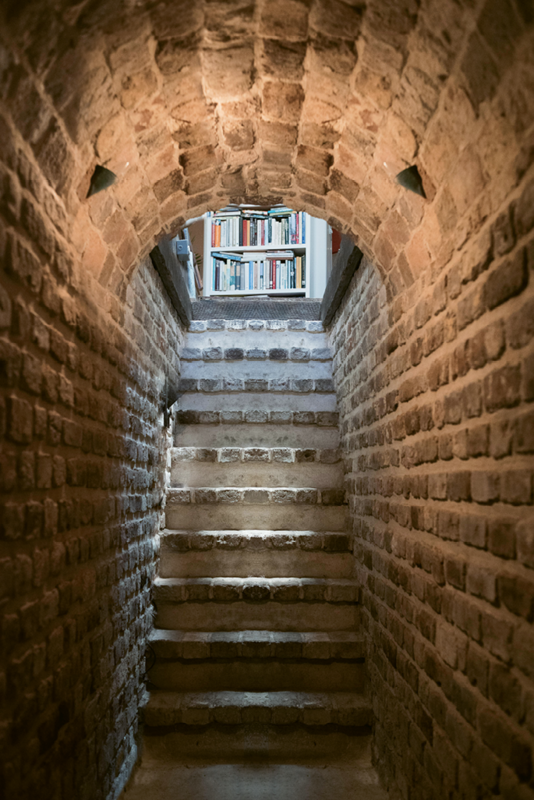 That experience left them with very firm opinions about how historic abodes should be outfitted, so when they launched a hunt for a second home in the Holy City, the bar was sky-high. “Some of the houses we saw were so badly restored, I felt I might as well be in a Marriott in Illinois,” Suzanne quips. “The hardware, glass, floors, and proportions all need to be authentic to the period.” With its classic façade and historically accurate interiors, the townhome fit the bill—thanks in large part to the meticulous maintenance of its previous owner, noted plaster artist David Hueske. “David hand-carved the plaster mouldings on the ceilings using the same methods that were used in the 18th century,” Suzanne notes. She found the weathered wood floors to be “just right” and was smitten with the original cypress wall paneling on the third floor. On the ground level, an exposed-brick wall partially covered with stucco captured her imagination for the layers of craftsmanship it conveyed. She and Peter, a real-estate developer, knew they’d found their home-away-from-home. In fact, they loved it so much that in 2010, with their four children grown and out on their own, they sold the house in Beaufort and moved to Charleston full-time. They bought the townhome because they loved its classic beauty. But when it came time to furnish the interiors, Suzanne bucked tradition in favor of her own aesthetic. “Our home in Beaufort was of the same era, and we filled it with 18th-century American furnishings. It was magnificent, but a bit predictable, like a museum,” she says. This time around, the lady of the house was determined to flaunt her individual style, which is all about the art of the mix. “I like juxtapositions of high and low, like dressing up and then not bothering with shoes,” she says. To help her achieve the interior-design equivalent of going barefoot in a ball gown, she enlisted close friend and jewelry designer James de Givenchy. Though he’d never decorated a home professionally, the New York-based de Givenchy had no trouble executing Suzanne’s eclectic vision. For the living room, he dreamt up a seven-by-seven-foot walnut coffee table so hefty it had to be installed via crane. The piece is certainly luxurious, but it has levity, too: the design incorporates a live palm tree growing out of its center. In the sitting room, an inexpensive coffee table from Crate & Barrel keeps company with a wall-mounted collection of priceless 18th-century Chinese porcelain pieces. At the center of de Givenchy’s philosophy lies the belief that good design is timeless. “If one piece is contemporary and another is from the 18th century, but they’re both good design, they’ll go together like hand and glove—and show each other off in a way that’s much more interesting,” Suzanne says. The Pollaks’ art collection is similarly diverse. Traditional portraits can be found throughout the space, but contemporary works feel at home here, too. For example, on the first floor, a large-scale black-and-white abstract photograph of their son, Charles, strikes a thoroughly modern note. “The trick is in the mix—and what you choose to incorporate says so much about you as a person,” Suzanne explains. The resulting interiors have become the backdrop for many legendary parties. Suzanne loves to entertain, and she’s parlayed that skill into a unique lifestyle business known as The Charleston Academy of Domestic Pursuits. “The Dean,” as she is dubbed, hosts cooking and entertaining classes in private homes all over the peninsula and beyond; the company’s tongue-in-cheek manifesto, The Charleston Academy of Domestic Pursuits: A Handbook of Etiquette with Recipes, was published by Stewart, Tabori & Chang in 2014. “I teach my clients how to use the interior of their four walls to make a real foundation for their lives, not just a storage space or a place to have takeout delivered,” she says. Suzanne practices what she preaches, logging hours in the kitchen each week turning out dishes from gumbo to beef Wellington—and often inviting big groups over to share the bounty. “I love jamming people in, fanny to fanny, around the dining table,” she says. Her next shindig? A ladies’ luncheon with a menu that leans heavily on produce from the pint-sized courtyard garden, which features fruit-bearing trees and beehives that have produced 70 pounds of honey in the last year alone. “I’m going to make tangerine mimosas and a tangerine tart with citrus dressing,” she muses. The dessert, of course, will be sweetened with backyard honey.